WordPress Installation URL – While you install WordPress on the desired domain it will ask you in which directory you want the installation to be made. If you’ve chosen the root directory(by leaving this bar blank) the URL you need to use to access WordPress would be: yourdomainname.com/wp-admin, otherwise, it would be yourdomainname.com/directoryname/wp-admin. Wherever you installed WordPress just add /wp-admin at the end. WordPress Username – This will be the username you’ve chosen while installing WordPress. Step 1: Enter your domain name and add the /wp-admin at the end. NB! As we mentioned earlier if you installed WordPress in different than the root directory, you’ll have to insert it between the domain name and /wp-admin. 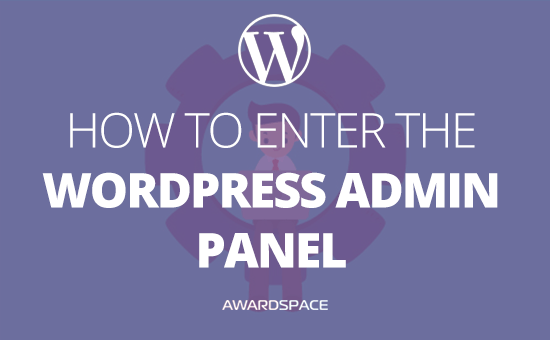 Step 2: To access your WordPress admin panel, type in the username and the password that you’ve chosen in the WordPress installation process. NB! Your WordPress Username and Password could be different from those you use to enter the Zacky Installer. Take your First Steps in WordPress!